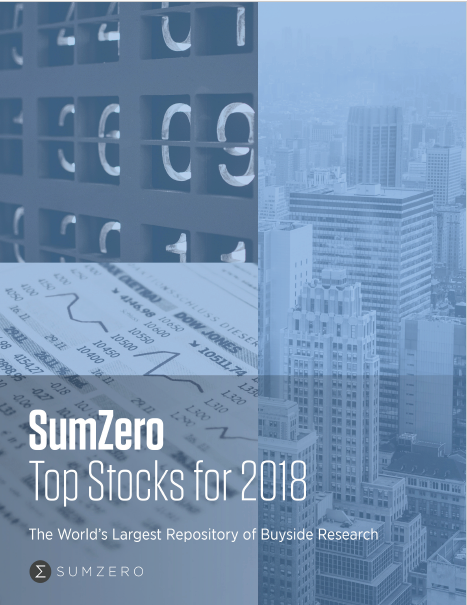 The Top Stocks report is designed to showcase the 5 Winners and 10 Finalists of the 2nd Annual SumZero Top Stocks Challenge, an investment research competition executed in partnership with Sohn Conference Foundation and Canalyst. This year's Challenge surfaced a large number of exceptional submissions. The 15 ideas featured in this report were the consensus favorites across 5 key categories. All contest submissions were independently assessed and voted on by a panel of over 40 senior fund professionals and asset allocators. We would like to thank all the contestants for their all-around excellent work, as well as the members of the Judges Panel for their participation in screening their research. We also kindly thank our partners for their support of the initiative. Congratulations go out to those professionals featured below. 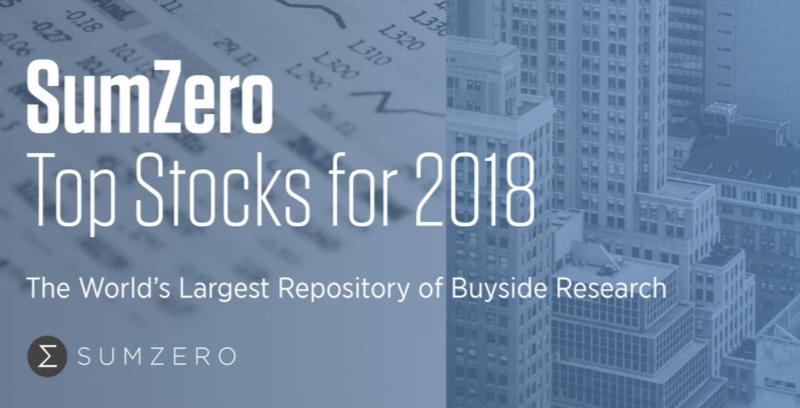 Access to the research submissions of all 15 Winners/Finalists is freely available in the SumZero Top Stocks for 2018 PDF via the link below and on the sidebar.